Benalmadena golf holidays offers fantastic value for money when you are able to combine great hotels and excellent golf courses in the Costa del Sol Spain. Known for its all year round fantastic climate Benalmadena is a wonderful golf break destination. At the 3* Flatotel International you can enjoy spacious, modern, 1, 2 or 3 bedroom & bathroom apartments, which have a fully equipped kitchen with washing machine and oven, air conditioning and satellite television. 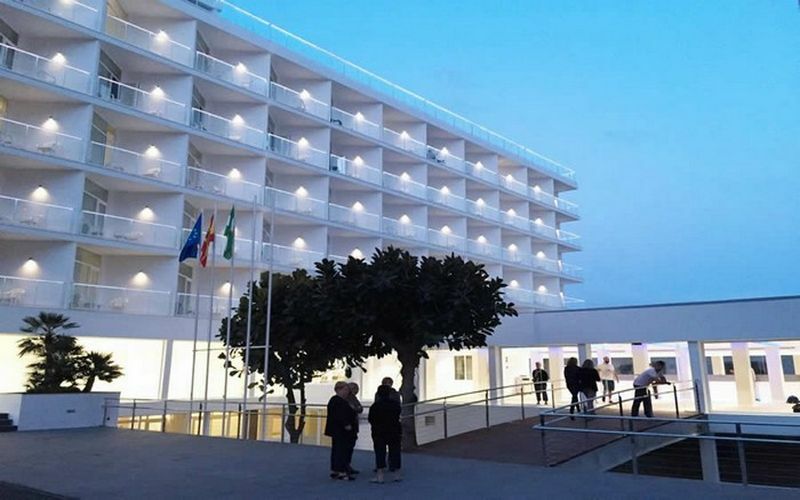 This is one of the most popular Costa del Sol Golf hotels visited by many golfers each year and used as an ideal base for golf breaks in Andalucia. Golf courses nearby: 2 minutes from Torrequebrada Golf and within 20 minutes of Lauro & Cala Nova. 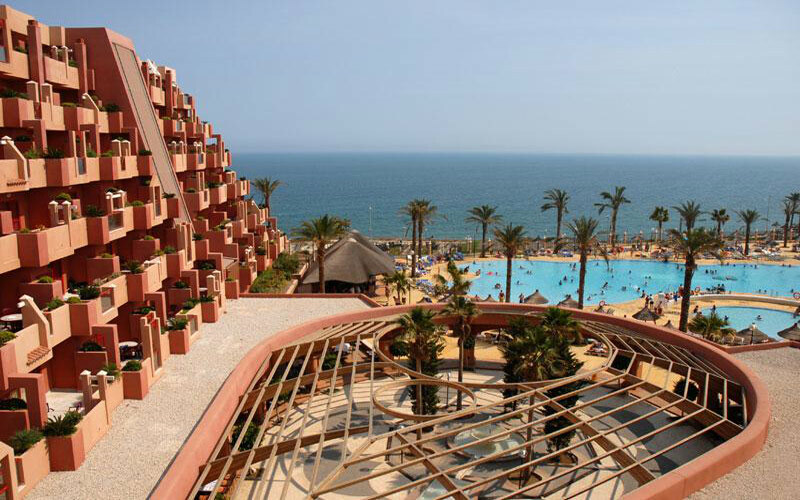 The 4* Hotel Alay is located in Benalmadena, just at the entrance of Puerto Marina, considered one of the most beautiful Marina’s in the world. Refurbished in 2016; all 240 rooms are air conditioned and have a terrace. Rooms come equipped with satellite TV and private bathroom. The Hotel Alay has a variety of amenities including a buffet restaurant and swimming pool. Nearby Golf Courses: 5 minutes from Torrequebrada Golf and within 20 minutes of Mijas Golf Resort, Cabopino, El Chaparral & Santana. 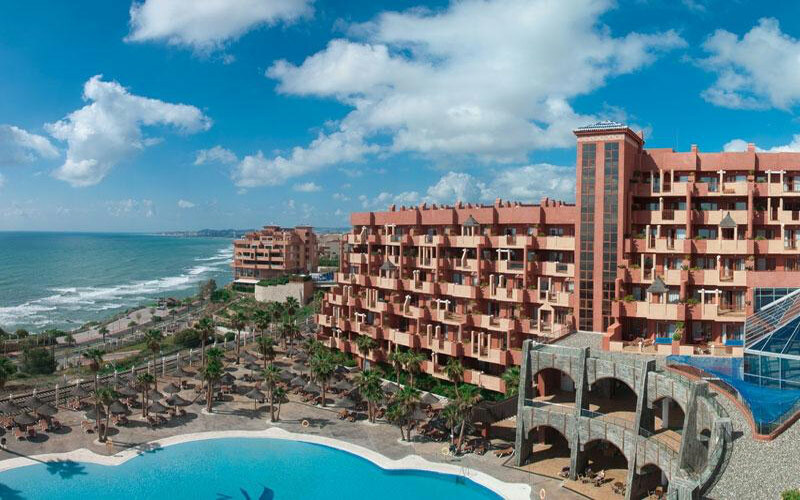 The 4* Hotel Mac Puerto Marina is a beachfront hotel close to the Marina and now offers free WIFI. The hotel has 268 comfortable rooms which each have a safe and mini-bar. The Hotel is perfectly located with a short drive to many of the local Costa del Sol golf courses. Nearby Golf Courses: Golf courses nearby: 5 minutes from Torrequebrada Golf and within 20 minutes of Mijas Golf Resort, Cabopino, El Chaparral & Santana. The 4* Polynesia is a themed Holiday World all-inclusive hotel which recreates the tropical ambiance of the Polynesian Islands. Opened in April 2009 the hotel boasts a majestic lake, exotic tropical gardens and sea views perfect for golf holidays in the costa del sol. All of the rooms are Suites which are set in 3 different areas of the resort which are the Polynesian Islands Bora Bora, Samoa & Easter Island. Golf courses nearby: ;Located just 2 minutes from Torrequebrada Golf and within 20 minutes of Mijas Golf Resort, Malaga Parador, Santana and Guadalhorce. The 4* Holiday World Hotel Holiday Palace is a spectacular hotel whose interior will transport you to a marvelous ‘Arab Palace’. From which you can have fantastic Benalmadena golf holidays in the Costa del Sol, where you will enjoy amazing views of the Mediterranean Sea. The hotel offers 48 Junior Suites, which can accommodate up to 4 people per suite. Golf courses nearby: Just 2 minutes from Torrequebrada Golf and within 20 minutes of Mijas Golf Resort, Malaga Parador, Santana and Guadalhorce.